Browse > Home / Can You Find Love at Lake Chapala – Ajijic ? The answer is Yes, Yes, Yes, and Yes. Our area is smack dab in the middle of one of the most beautiful areas on the planet. Even, folks who don’t think of themselves as outdoor types or “birders” or Environmentalists, or Nature worshipers fall in love with the spectacular beauty that surrounds us here at Lake Chapaa Ajijic Mexico. 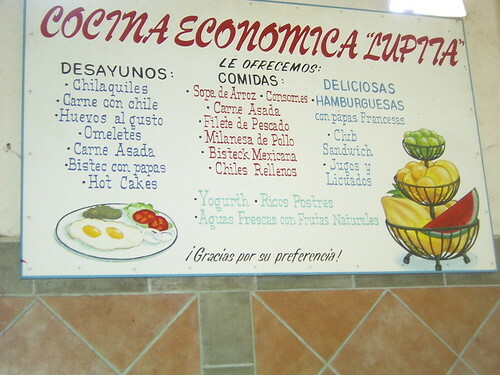 The Lake Chapala Area boasts excellent restaurants from the inexpensive Mom and Pop Restaurants like Jose’s Place where my favorite meal is Chicken in White Wine Sauce $4.61 USA comparable to $25 USD for similar fare in the USA. Most North American Ex Pats move here with a significant other with them… but there is an active single life here as well. 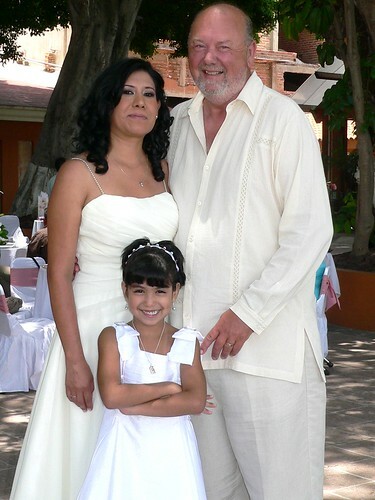 And, while many of our single retirees here are quite happy and adjusted to single life… others like myself and a growing number of others have found the Love of their life or perhaps the Second Love of their life right here in Mexico. Arcelia and I for the most part socialize with other mixed couples which allows the ladies to enjoy speaking “girl talk” in their native Spanish language and the guys to solve the problems of the world in English. They are Mick and Monica Coleman and we wanted to share their joy with you by including the below video of their recent wedding held on the beautiful grounds of the Chapala Real Hotel. The ceremony was held outdoors with beautiful Lake Chapala as a back drop. The wedding may look a little different to you if you’ve never seen a civil wedding ceremony before. The lady reading in Spanish is a government official who oversees the process. The bride and groom do exchange rings and recite vows, and everything is quite beautiful, but being a civil ceremony there is no religious aspect to the service. I appear briefly in the video wearing black (No not in mourning) as I sign the wedding papers as a witness followed a Mexicana friend of the bride who acts as the second witness. The video is a bit long at 37 minutes, but if you’re a romantic at heart it’s worth every second. But, then click your back button to return here. The service was perfectly beautiful, the ladies all gorgeous (including my own bride in the multicolored sort of a paisley dress), the guys all handsome and the food was delicious as well. Was looking forward to viewing the wedding video, Sid, but unfortunately, the Link doesn’t engage. Hi Mary, Thanks for the heads up. I always test the videos to be sure they work, but apparently the hosting site is down or has closed preventing the video from playing. A shorter version was on YouTube for a while but the author of the video pulled it down too. I have some short video clips I took at the wedding which I will see if I can find and string together to give you a feel for ho beautiful teh wedding was. Hi Joan, I just trieded the link and it worked perfectly for me. Ther are many places or things that could have happened to make it malfunction when you tried it. Hi Sid, I am enjoying reading your Chapala Club news. 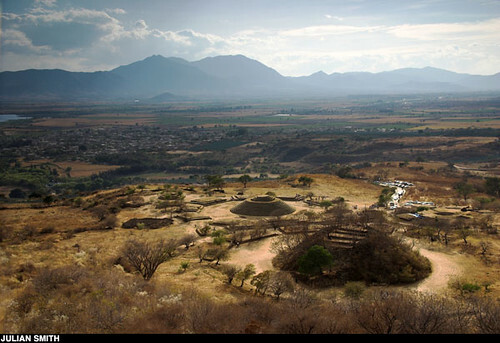 I hope to attend the Focus on Mexico program next May as I am thinking of retiring in Mexico! I live in the DFW, TX area. I’m also planning a trip to Guadalajara either later this month or November just for the weekend, probably won’t make it out to Lake Chapala. Hi Sheree, Thanks for the nice comment. Hope you can make it out here from Guadalajara. We’re less than an hour away. I would love to visit this area in summer 2013. I would like some hotel recommendations for someone on a tight budget. While there I would also like to meet some expats to get some information on retiring in Mexico. **Meeting some gentlemen would be an added plus. at very reasonable rates. Her place is in Chapala and you can walk all over the downtown area (shops, restaurants, waterfront malecon, city hall, central market, etc.). She’s on the bus stop to go to the other nearby towns and villages to explore them as well. Look forward to answering your retirement questions too. That’s what we do. Since most the single/divorced, widowed white men seem more attracted to the Mexican gals, i wonder if the single white women should be seeking more Mexican guys!? After all, they are usually better looking and younger ……food for thought, yes? If you want to pay their way go for it. The white males are attracted to the Mexican Woman because they are cheaper to keep, and are more obedient; all wrong reasons. Most white women, raised in Canada or the USA would never last with the machismo of a Mexican Man. I think a more appropriate and accurate description of Mexican woman would be that they are more “respectful” of their men. “Obedient” in my opinion is a rather demeaning descriptor. I do tend to agree that comparatively gringals don’t seem to have learned what it means to respect a man.